There's nothing like grabbing some popcorn and sitting down to watch a good flick! Sometimes we do this as a family, other times it's just my husband and I. Either way, it's nice to stock our home movie arsenal with some good, clean entertainment that can be equally enjoyed by the entire family. 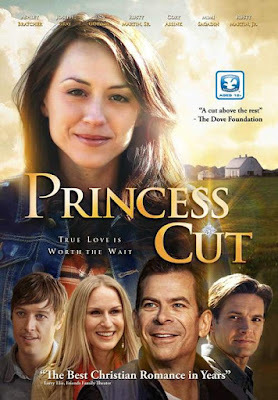 Recently, we had the chance to watch a new Christian film created by Watchman Pictures called Princess Cut. Princess Cut is your modern day romance in one sense, but with a more traditional, old fashioned flair. Grace is in her early twenties and trying to live out her dream of finding true love, marrying, and living happily ever after. Her desire to find the perfect man to settle down with causes her to initially make some hasty choices with the potential partners that she meets. She even ends up taking some bad advice from others, which only leads to more disappointment. One dreadful circumstance after another ultimately leaves her discouraged and second guessing her own convictions to the point where she thinks that either something is wrong with her, or that God doesn't even want her to find happiness. With a tightly knit family and strong support system, she ends up confiding in her parents and taking some sound advice from them. This, in turn, takes her on a journey of self discovery and learning how to wait on God. Some of the plot may be a little far-fetched at times, but isn't that the beauty with movies and why they can be so enjoyable? They can take viewers off into a story of how it could be or what you may not see everyday, almost like a fairytale, particularly when you think of romance films like this one. Of course, all things are possible with God, so I guess it's not all that far-fetched when you really think about it. To be honest, with the overall content of some of today's film releases, it was a breathe of fresh air to see a high-quality film that was clean, wholesome, and enjoyable. Some of the content being discussed in this film is a bit more mature for much younger children. For example, there's some talk about intimate interactions (kissing) between a man and a woman, as well as a small fight scene towards the end. With that being said, there is no vulgarity or sexual content to make this movie inappropriate for kids to watch. While my own child is still too young to really grasp the content of the film, this is the kind of movie that I wouldn't worry about playing while he is in the room. The casting was well done. I enjoyed the camaraderie and closeness of the family, particularly how the father and brothers interacted with each other. Now, in the beginning of the movie the protagonist (Grace) comes off a bit socially awkward at times, maybe even acting somewhat superior. This initially made it difficult for me to really feel for her character during her troubles. The turnaround for me was when she begins the "quest" that her father challenges her with. Perhaps this was the writer's way of showing her developing maturity as she grows in Christ. At least that's what I took away after watching this. There is a point in the film where she allows God to take control of her life, rather than her forcing things to happen. This is actually where I start to see a complete change of personality in her, where she becomes more humble and respectable. There were a few plot holes that I would have liked to see cleared up. One incident in the beginning was a little confusing. I won't give it away, but it does involve her boyfriend of fifteen months coming back in town to have something "important" to discuss with her. The inconsistency for me was what actually ends up happening when they do go on their "date." I had wished for a little more explanation in this scene, since it left me with a lot of questions. Also, I would have liked to see a little more depth with the characters, particularly between Grace and the gentleman that she ultimately ends up with. I am not going to give away who that is, because it would be a total spoiler. It just seemed a bit rushed when things came down to her finding the right partner, which made it a little difficult for me to believe. Of course another way to take this, would be to go off of my statement, above, about enjoying the movie for what it is–almost a fairytale-like story. I guess I would have enjoyed seeing a little more interaction with just the two of them in order to show a budding romance in the works. 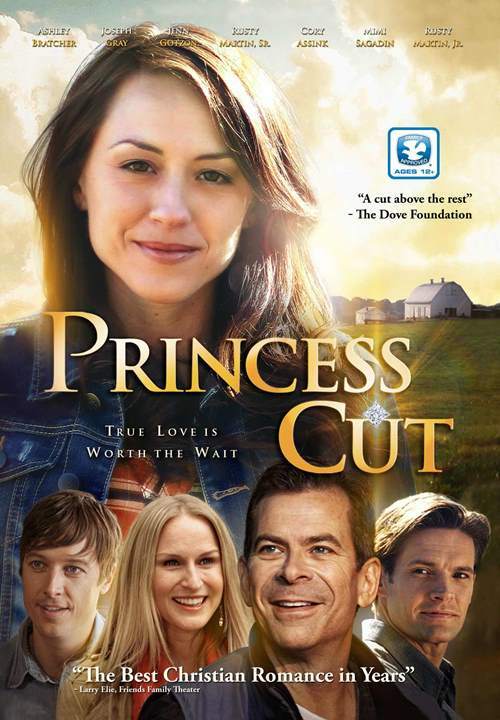 While Princess Cut is themed around the life of a young adult, I personally feel as though this would be a great movie for teens to watch, because it demonstrates the importance of purity and saving oneself for marriage. There is a lot of pressure and immoral stances in today's society, from peers to the media, sometimes you just want to cover your child's hears (and even your own). I think it's especially importance for teens and young adults to know that it is okay to wait, and to understand why that is. The movie gives solid examples of how the intentions of one person in a relationship may not align with their partner. This is kind of a reminder of what the Bible says about being equally yoked. The man she is dating is trying to be physical with her, when she doesn't feel right about it. Her best friend indirectly convinces her to be flirtatious with men and keep her options open by seeing more than one man if she is not yet engaged or "has a ring on her finger." She also criticizes Grace's wardrobe saying that she needs to "get a new one." A therapist gives her the most off advice on premarital relations, stressing the need to move in with her partner before getting married. While I didn't take to Grace's character in the beginning of the movie, that soon changed. With a culture that doesn't really put value on abstinence and waiting until marriage, I commended her strength and willpower to not only be herself, but to keep to her beliefs even when it seemed as though all hope for love was lost. What was really interesting for me personally, was the trailer verses the actual movie. I had a whole different outlook on where the movie was going to go before even watching it, basically assuming who Grace would ultimately end up with. While you really start seeing where the movie is going to go about halfway through the film, the first half was a bit more surprising. Of course, I won't give anything away, because that would ruin the fun of watching this for the first time. 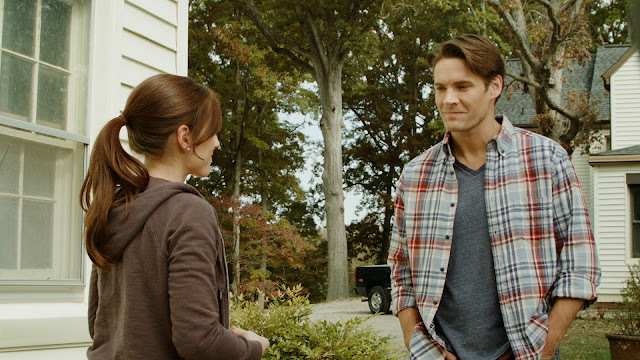 Being a city girl turned suburban mom, I have such a weakness for movies that depict down home country living. The set and scenery were probably my favorite part of this film. Everything is breathtaking! With rolling valleys and fields of green, it was really easy to immerse myself in the film. We received the DVD to watch. 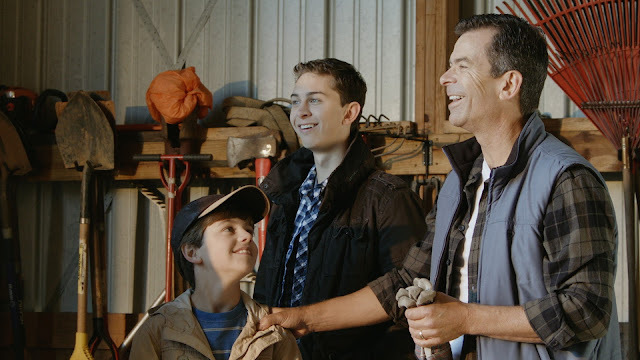 In addition to the actual film, the disk also includes a few special features such as deleted scenes, a blooper reel (which was quite enjoyable), as well as an additional film trailer. The movie is available in widescreen and has a running time of ninety-seven minutes. All in all, I enjoyed Princess Cut. The best part is that this a wholesome, family-friendly film, so there's no need to worry about vulgar language or inappropriate scenes. I also appreciate how it demonstrates the importance of Godly parenting in a child's life, whether they are still young or already all grown up. When my son is old enough, I will definitely be showing him this film. Watching the protagonist mature in her walk with God and stick to her principles and moral beliefs is definitely a good example to be modeled. This would be a great movie to show to teens or young adults at home or even in a youth group study, since it opens the door to plenty of important conversations about romantic relationships, early dating, respecting a partner's wishes, purity, and waiting on God's timing.